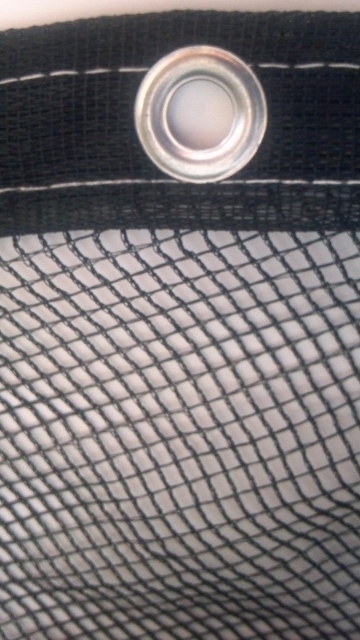 1/4″ Black mesh netting and binding. Aluminium grommets (will not rust) every 3 – 4 feet on the outside edges. Very strong mesh, will give your pond the protection it needs for years to come. Medium Duty Pond Leaf Nets. Sewn binding and aluminium grommets every 3 feet or so. 1/4″ opening on the mesh netting. Very Durable! Imported.